I’ve eaten this salad three days in a row. Here’s why. Unique texture, delicious taste, and high levels of vitamins and nutrients. You know I love versatility in dish, especially in a salad. I am, indeed, a salad girl. It’s easy to be when cheese and bacon are involved, right? 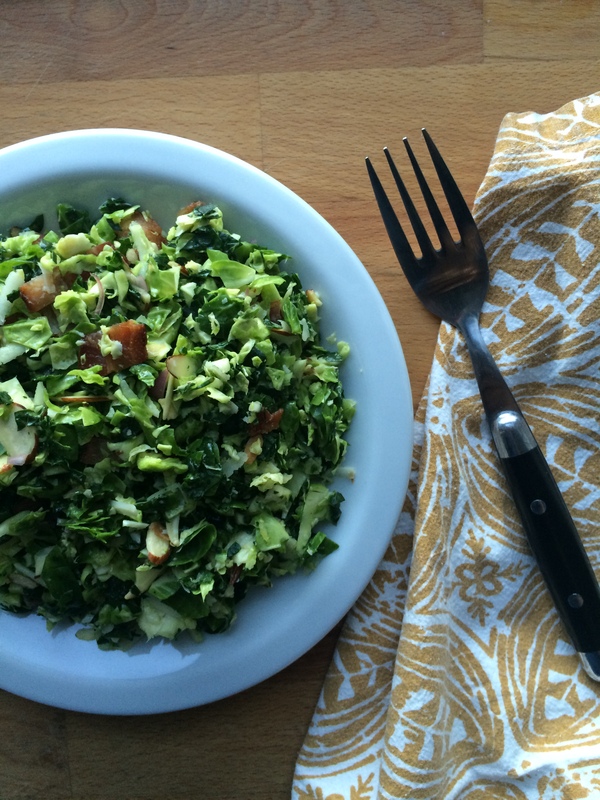 Well, it’s just as easy to categorize yourself a salad “person” when kale and Brussels sprouts are involved. Not only do both these veggies taste great, but they’re good for you and they stand up to many added toppings, ingredients, and variations (seeing a theme here?). Kale is very high in beta carotene, vitamin K, vitamin C, and rich in calcium. 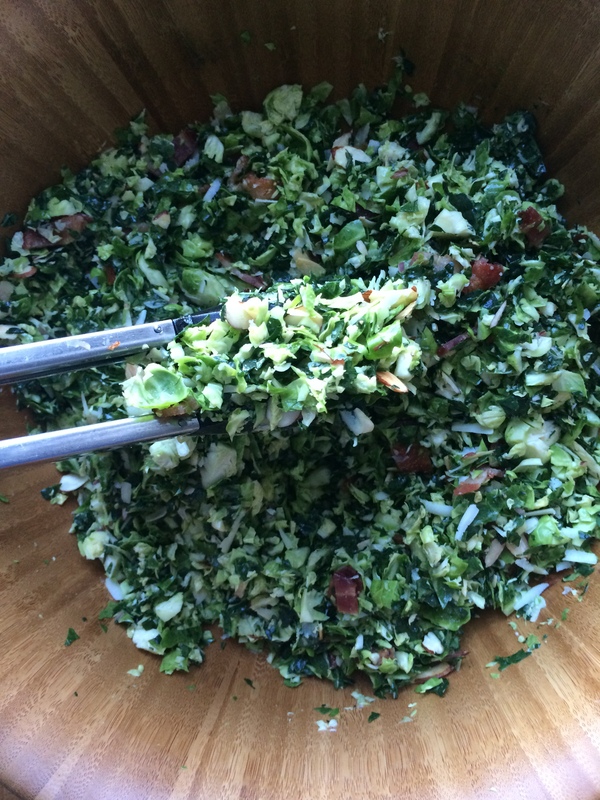 Brussels sprouts contain high levels of vitamin C and vitamin K.
This salad works well as a main dish for 2, serves 4-6 as a side, or can easily be doubled to serve a crowd. I may be eating it again tomorrow! First, make the dressing by combining minced shallot, Dijon mustard, lemon juice, lemon zest, honey, olive oil, salt and a freshly cracked black pepper. I like to place the ingredients in a mason jar, secure the lid, and shake. Reserve dressing. 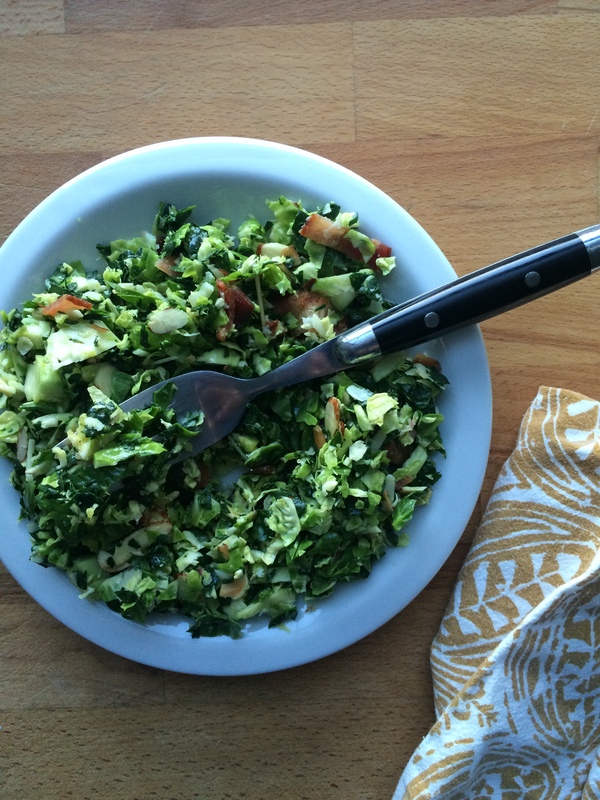 In a large bowl, combine shredded kale and Brussels sprouts. Note: I shred my veg in a food processor, but you could also finely chop by hand. 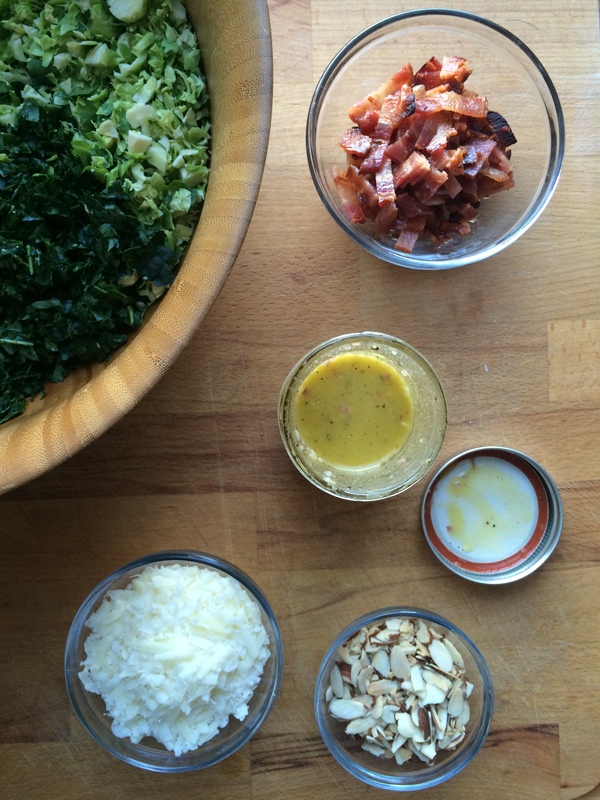 Toss the kale and Brussles sprouts with the reserved dressing. 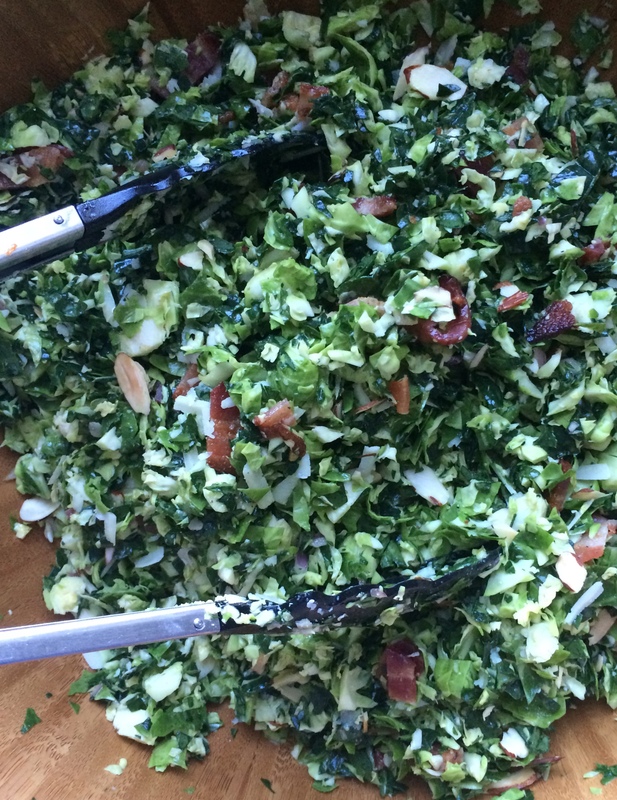 Use only as much dressing as you need to coat the kale and Brussles sprouts. Note: I used about 3/4 of the dressing. Add almonds, Pecorino Romano cheese, and crumbled bacon. Toss again, adjust seasoning to taste, adding more dressing if needed.